Locally grown food will soon be on Bridport’s takeaway menu and it needs the community’s support. The Local Food Takeaway Project, an initiative launched by Bridport-based Stir To Action, is crowdfunding support for an ethical and healthy fast food alternative. 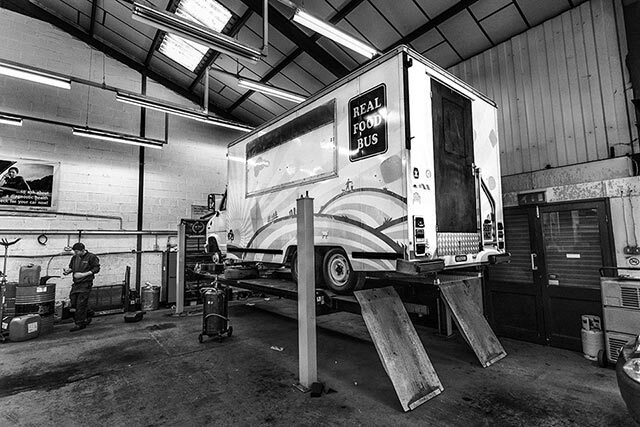 Stir To Action’s director Jonny Gordon-Farleigh and a team of locals are reviving an old catering vehicle, formerly the Real Food Van, by turning it into a community asset. It will provide space for educational workshops and pop-up restaurants, promoting a locally sourced and sustainable takeaway culture in the area. Through local and ethical procurement, based on recent research by Tamsin Chandler for Communities Living Sustainably in Dorset, the project aims to build capacity for West Dorset’s smallholders. Its principal supplier will be the Charmouth Dragon, known locally as the Real Food Van, which supplies vegetables and meat from the region’s producers. The Local Food Takeaway Project will be a community co-operative that is owned and controlled by its members: chefs, young caterers, food educators and other non-profits who use food for social purpose. It is also set to be a street food ‘incubator’ where experienced members of the project will mentor and support young and new entrants to the food business. The crowdfunding campaign starts on Wednesday 21st October and is looking to raise at least £6,000 within a month. Funds will be used to cover start-up costs, including a new interior conversion, catering equipment, tax and insurance, basic training and original artwork to give the vehicle its new identity. Backers will be rewarded for their support. You could find yourself on a forage, part of a cookery club, or having a local food feast cooked in your own home by one of the member-chefs from River Cottage or Trill Farm. Signed cookery books and reusable shopping bags with the takeaway project’s original artwork are also up for grabs. The Local Takeaway Project is expected to launch in spring 2016. Back the project at http://www.crowdfunder.co.uk/local-food-takeaway-project Or for more information on joining the co-op or any other questions email thetakeawayproject@gmail.com.